The YWCA Workforce Development program provides education and training to assist individuals in achieving economic self-sufficiency. Lack of education and little to no work experience or training are significant barriers to gainful employment, economic security and advancement. Our Adult Education and Work-Readiness Services empower adults with knowledge and skills to advance their educational and economic status. For those adults seeking further growth and development, our Career Training Services provide occupational skills and technical training in industries and sectors which demonstrate regional and national employment and advancement opportunities. After having my daughter, I enrolled in the YWCA Workforce Development program to earn my GED and learn work-readiness skills to become a good role model. I became very dedicated and attended the YWCA for 2 years. It wasn't easy, but I knew it would pay off at the end. Obtaining my GED was a huge achievement. I cried tears of joy after receiving my diploma. 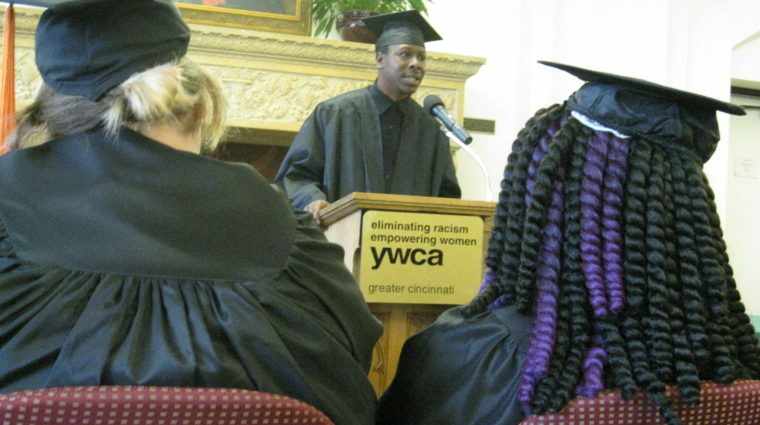 I owe the teachers at the YWCA a huge thanks; they believed I had what it took to earn my diploma!"